The Iowa Lottery is asking a judge to throw out the lawsuit of a man says he should be paid part of a $16 million Hot Lotto jackpot that was the center of a major fraud case. 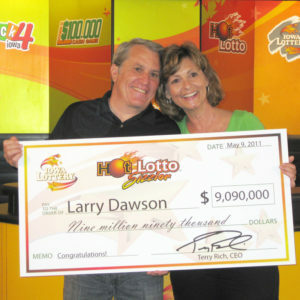 Larry Dawson of Webster City won a Hot Lotto jackpot that was a little more than $9 million on May 7th of 2011. Dawson later sued after it was revealed that the man who ran the program that selects the numbers for the game tried to illegally collect a $16 million jackpot for a drawing in December of 2010. The jackpot was never paid out after a lawyer tried to collect it right before the deadline for the prize to expire. It was later determined that Eddie Tipton who worked at the Multi-State Lottery Association rigged the numbers and illegally tried to collect the prize. Dawson claims he should have received some of that money, as the jackpot would have been bigger had Tipton not tried to illegally collect the jackpot. The Iowa Lottery says Dawson’s claim is based on a “hypertechnical reading” of administrative rules and the Lottery followed Iowa law, which says no prize should be paid when there is a fraudulent attempt to collect a jackpot.